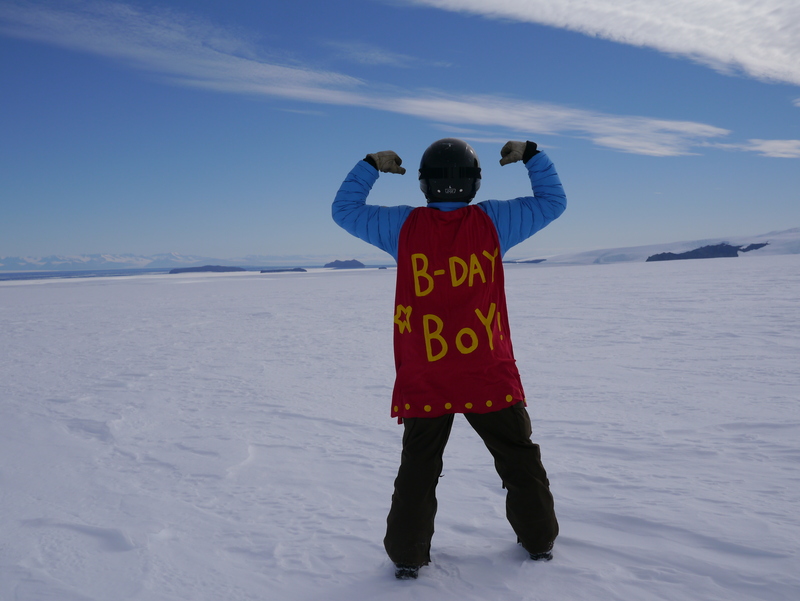 It takes a lot of people to keep McMurdo Station running. Everyone’s job is critical in this process, no matter what they do. Humans are not meant to survive in this place so we need shelter, special clothing, power, drinkable water, reliable transportation, etc. We rely on each other to keep things working and to stay alive. A lot of these jobs are not glamorous, yet they are done by really awesome people. 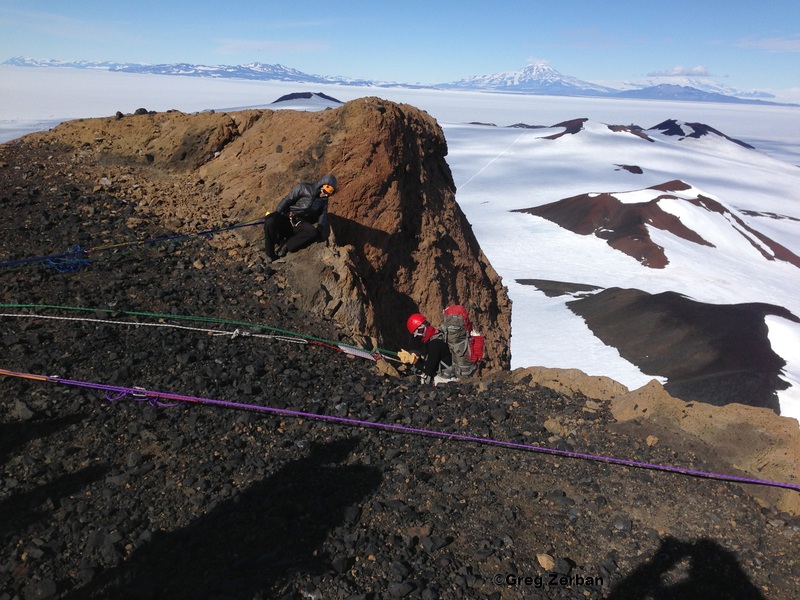 They say McMurdo has more graduate students doing dishes than any place on earth. Where am I going with this you ask? Well, most people never get to leave McMurdo in the course of their jobs… in fact some never leave their building! The NSF and station management have outings or “morale trips” to ensure people get a chance to get out and see something off the station. 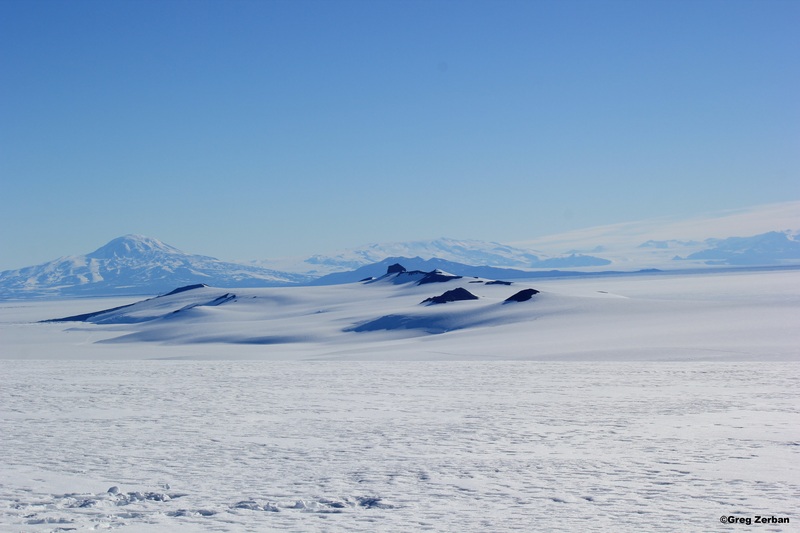 One of these trips is via snowmobiles to a place called “Room with a View” which is located on the flank of Mt Erebus. Since I am the Snowmobile Instructor, I had the pleasure of leading these trips and training the other guides. This is something I take very seriously as Antarctica can be extremely dangerous and conditions can change in a moments. Whiteouts can blind you and you can’t even tell which way is up. Crevasses can swallow you. Temperatures can cause frostbite, hypothermia, and death very quickly if you can’t seek shelter. Normally we don’t go outside if conditions are really bad, but sometimes weather moves in before you can get back to station. Because of that we keep “survival bags” with us at all times when off base. We also have very strict checkout procedures so that a search team can be called upon even if someone misses a check-in by a few minutes. I’m happy to say that I kept all my students safe all season. Looking down the Erebus Glacier Tongue in the frozen Ross Sea. The glacier tongue is where the glacier leaves land and is literally floating in the sea. The tongue floats out into the Ross Sea about 7+ miles. A couple years ago a 2 mile section of the tongue broke off and floated away when the annual ice melted. In the background you can see the Royal Society Mountain Range. The islands are Tent Island and Razorback from left to right. This picture is looking down the peninsula with Mt. Discovery in the left background. The US Antarctic base McMurdo Station, and the New Zealand Scott Base are located at the end of the peninsula. 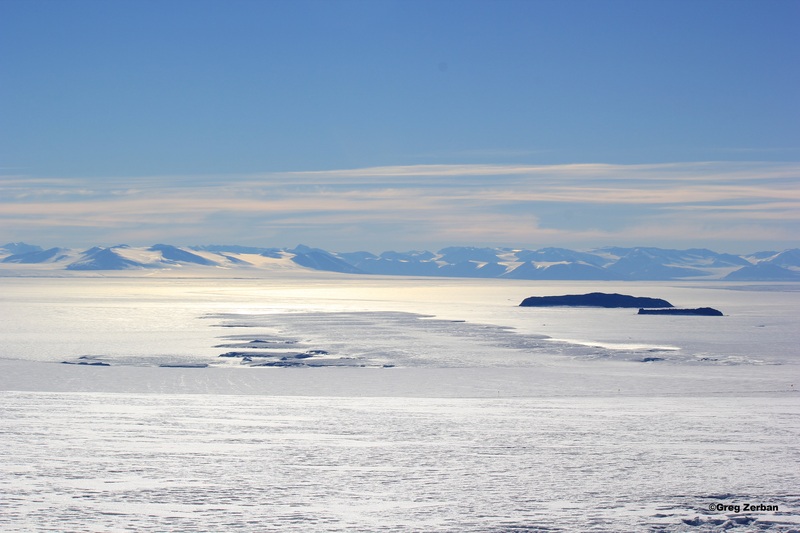 On the left side of the peninsula is the Ross Ice Shelf, and on the right side is the Ross Sea. This is one of the most southern areas accessible by ship which is why Robert Falcon Scott chose this location for his Discovery Hut. Cracks and crevasses in the snow on the side of Mt Erebus. These cracks are deceiving… they are actually large enough to swallow a house… and who knows how deep. 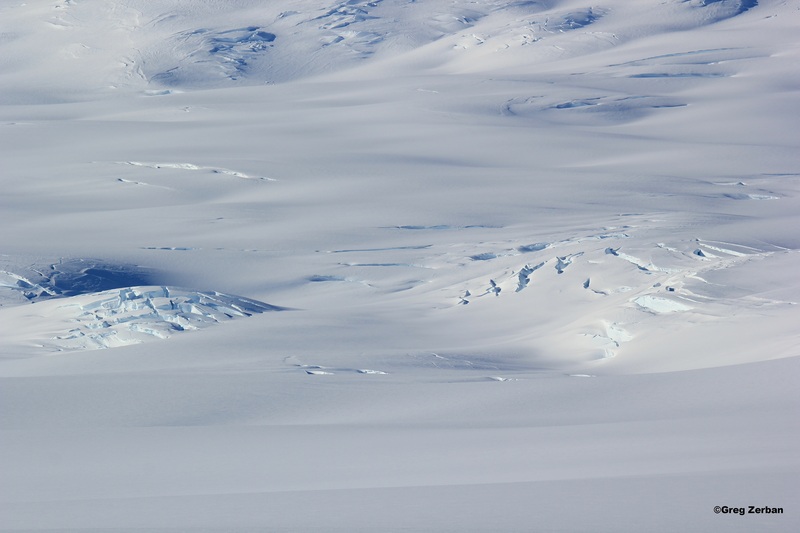 The are opened up by snow/glaciers moving down Erebus and flowing over the uneven terrain below. More crevasses in the side of Mt. Erebus. This side of Erebus is very deadly and not safe to travel on. The safer route up the volcano is on the opposite side. 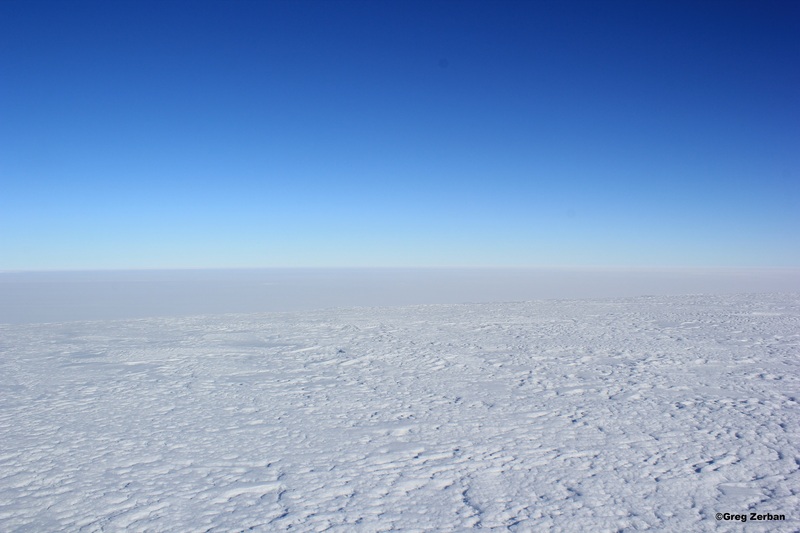 Looking across the Ross Ice Shelf near Windless Bight. It’s definitely not windless though… The winds can actually blow at hurricane forces out here. 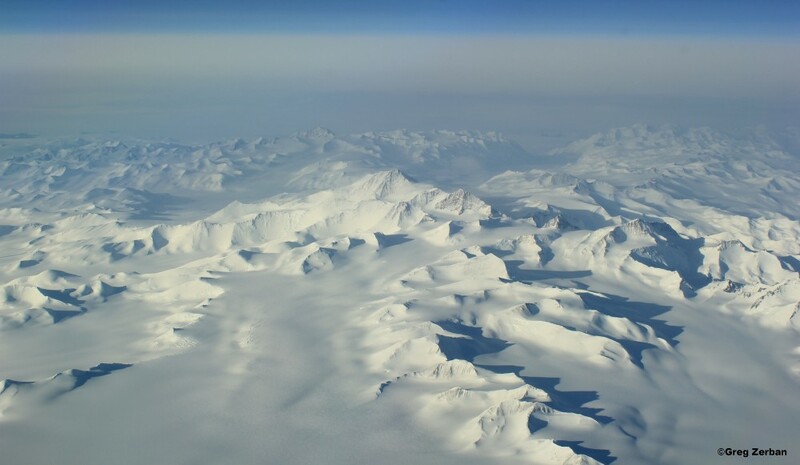 Antarctica is the windiest, coldest, driest, and highest mean elevation continent on Earth. The snow/ice just keeps going and going and going. Distances are very deceiving and are actually much further than they appear. 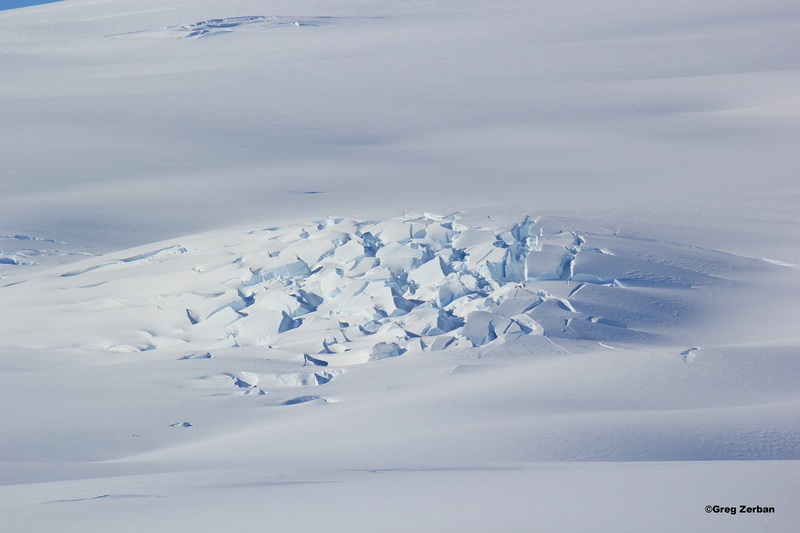 This part of the ice shelf moves up to 400 ft per year. A storm moving in quickly on Room with a View. When it hit you couldn’t see more than a few feet in any direction. 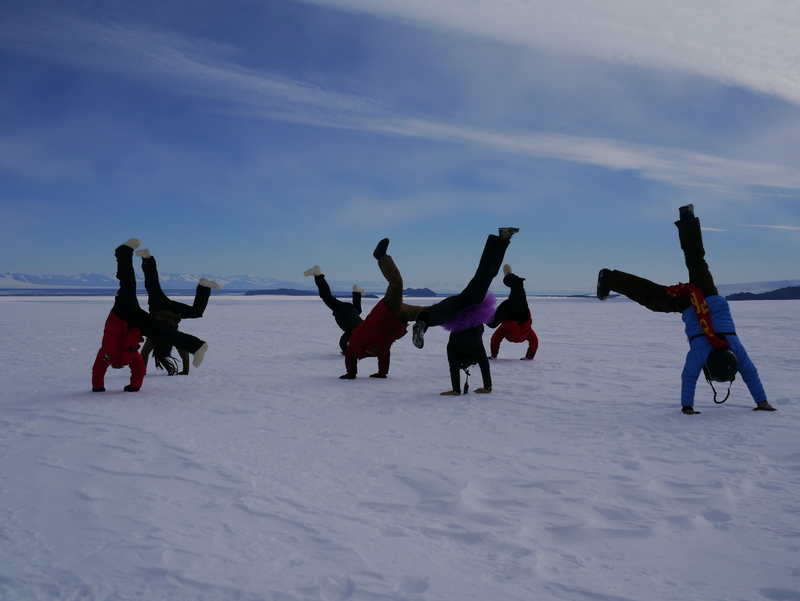 A group cartwheel session on the route to “Room With A View”. I am on the far right in the blue jacket. This pic was taken on my birthday which is why I’m wearing the Birthday Boy cape! Me in my birthday cape. I tried to fly, but it didn’t work. Howdy Everyone! Here are some pics from another one if my Search and Rescue training days. We climbed to the top of Castle Rock to do a “Multi pitch lower”. This is where you lower a victim down from the top of a mountain, cliff, etc using a series of rope systems. A mountain, or cliff might be very large in which case you may need several rope systems to get a litter to the bottom. It might also need multiple rope systems if the pitch or fall line of the slope changes or if you needed to go around a corner or down at a different angle. In this exercise we had a live patient who was pretending to be an injured person who had fallen from the top of Castle Rock. The rescue team was broken up into multiple groups that would each setup a rope system for their pitch of the lower. We had a total of 4 rope systems to get the victim to the bottom safely. Each system was comprised of anchors for the ropes, anchors for the team members, main lines, and belay lines. With these systems we could ensure that there were always two ropes attached to the victim, and it met our safety factor requirements for the load we were supporting. This pic was taken during our Search and Rescue training day on Castle Rock. We were practicing a 4 pitch lower of a victim from the top down to the base. Each pitch uses a double rope setup with a main line and belay line. When the litter would reach the next station (pitch) we would transfer the litter to the next system’s ropes. This allows you to do long lowers where the angles or fall lines change. Here is Suz rappelling down to the snow ledge on Castle Rock. 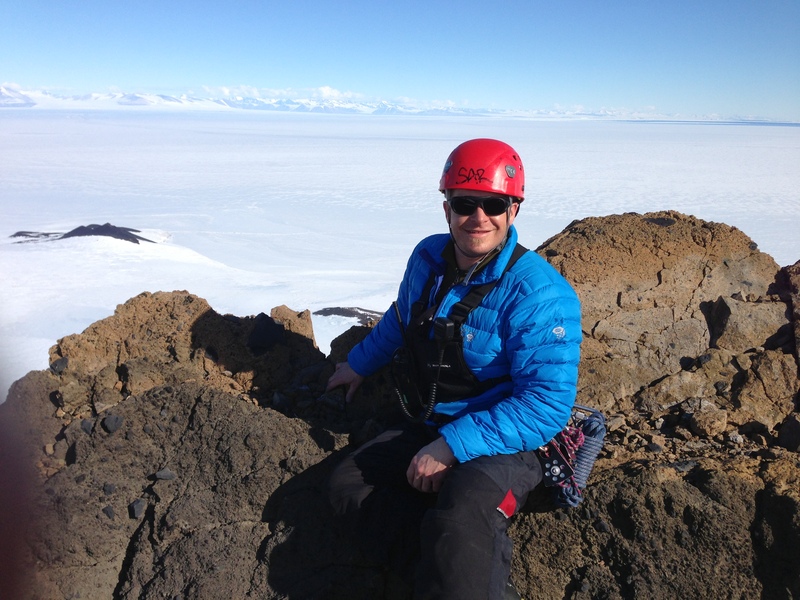 Looking over the edge of Castle Rock on Ross Island in Antarctica. The top has lots of loose rocks, so you had to be careful not to dislodge them onto the teammates below. A picture of me on top of Castle Rock during a Search and Rescue training day. 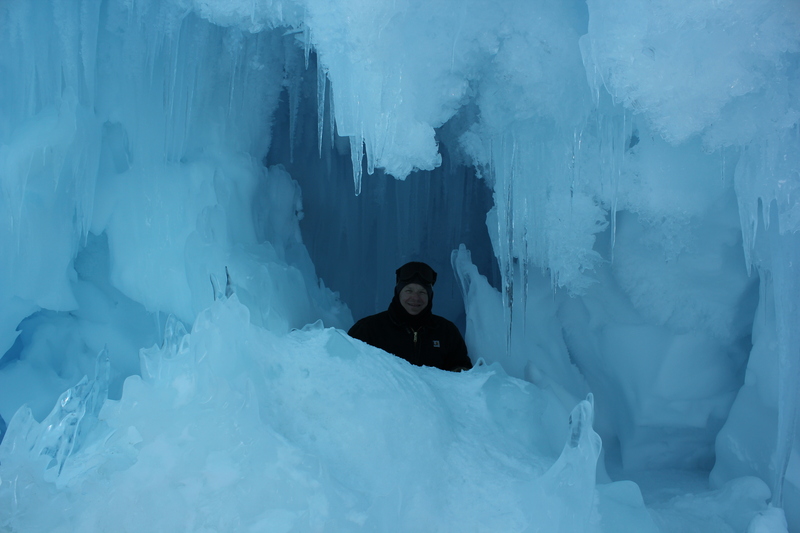 Just chillin Antarctica style! You would never guess where I was in this picture.